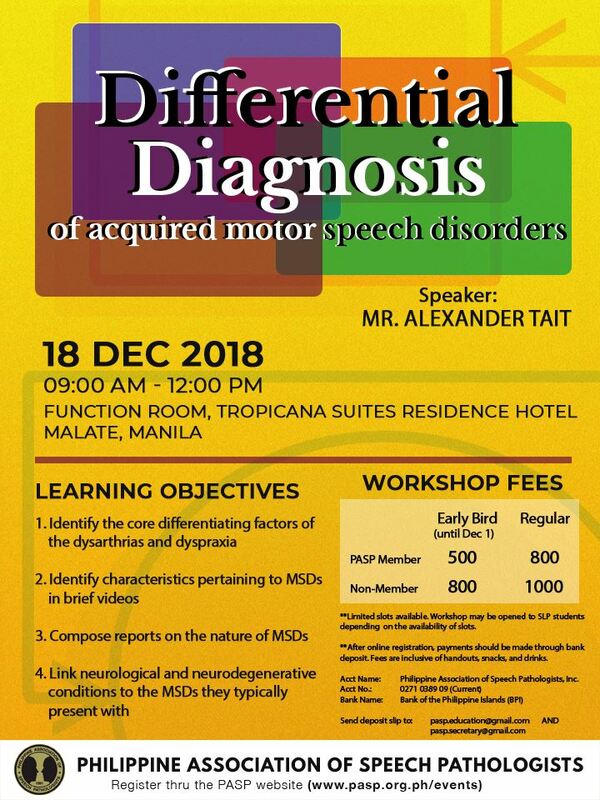 This workshop will focus on differential diagnosis of motor speech disorders. 2. Identify characteristics pertaining to motor speech disorders in brief videos. 3. Compose reports on the nature of motor speech disorders. 4. 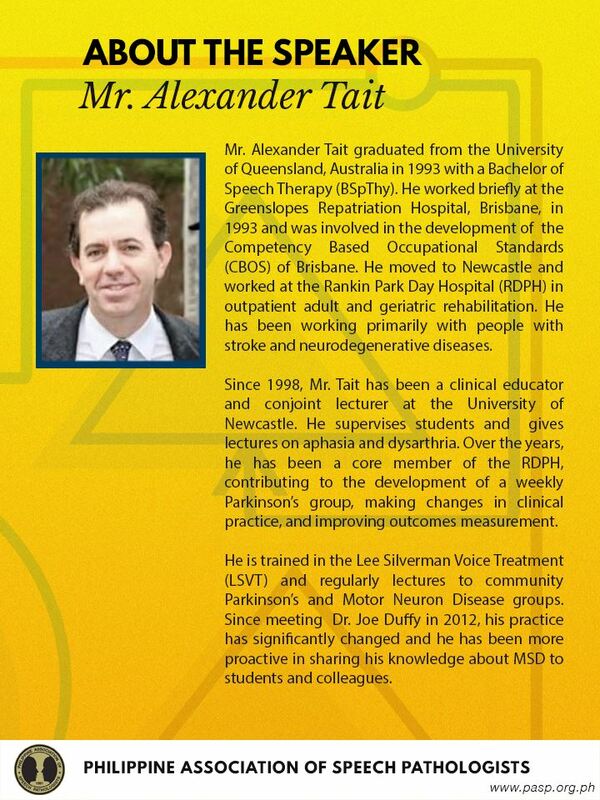 Link neurological and neurodegenerative conditions to the motor speech disorders they typically present with.